MARQUETTE — The recent snowfall may have put a temporary damper on thinking spring, but that didn’t stop a group of people looking forward to the summer season from meeting in Marquette Wednesday. The downstate based organization held its first ever meeting in the Upper Peninsula at NMU to discuss a number of things, including how campgrounds and RV dealerships can further showcase their businesses online. Executive Director Bill Sheffer says the goal of their organization is to make camping fun for people who travel and stay anywhere in Michigan. 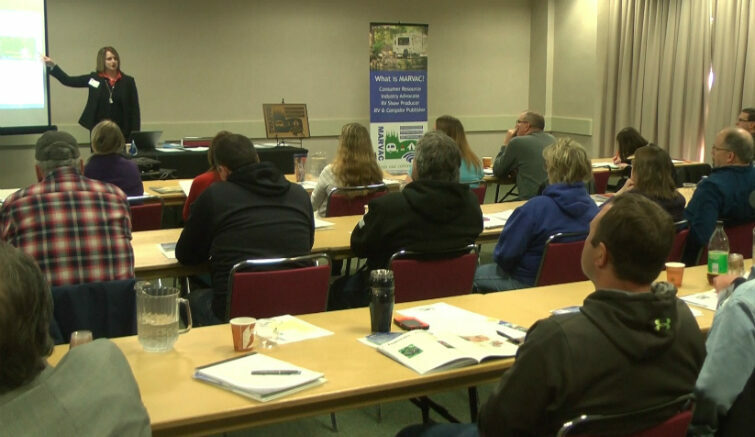 Around 30 people, ranging from campground owners to the DNR, attended the conference.